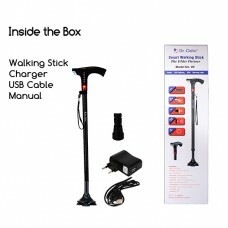 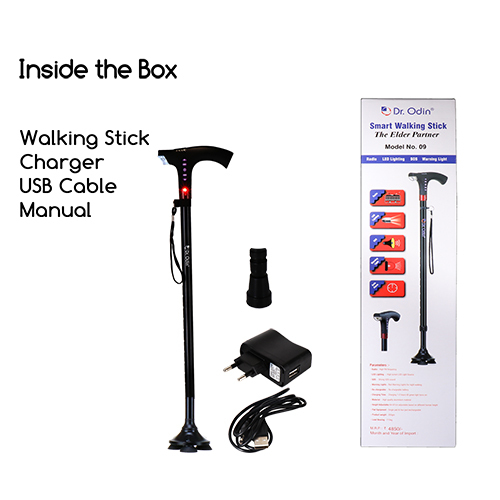 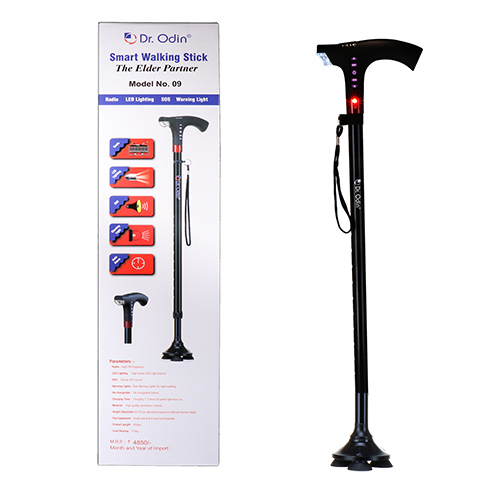 The Adjustable Walking Stick with LED flash light lets you go for a walk in dark, plays FM RADIO for lonely times and hoots emergency SIREN on a press of a button. 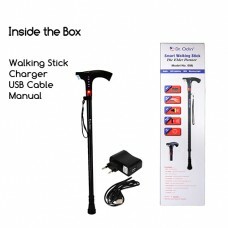 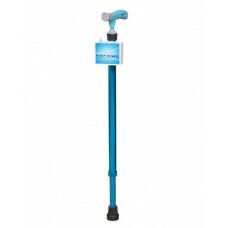 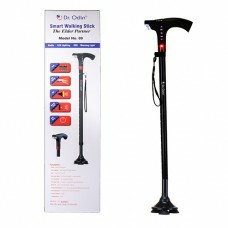 A walking stick that gives your loved ones that extra strength and confidence to go for a walk alone. Safety is now just a button away with SOS Siren feature included. 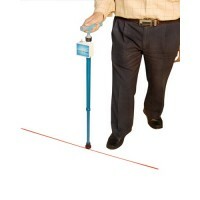 Comes with a firm grip that does not let the hand slip. 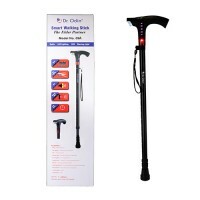 Easily adjustable and light weight. 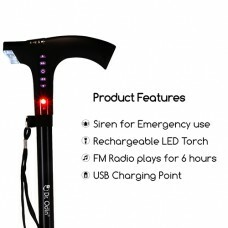 Needs 3 hours to fully charge - 5 V USB or AC Powered. Plays 6 hours of Radio when fully charged.Built-in rechargeable Lithium Battery. 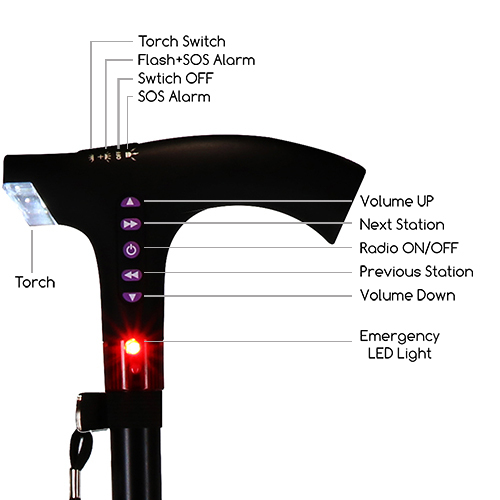 Adjustable Pole HeightLED Torch on Handle with Adjustable Light DirectionRechargeable LED Torch (Retractable), Emergency Siren & FM RadioLight Direction.Siren for Emergency use.